Millions of bison once thundered across America. Today, approximately 500,000 bison live across North America. Bison are large, even-toed ungulates in the genus Bison within the subfamily Bovinae. 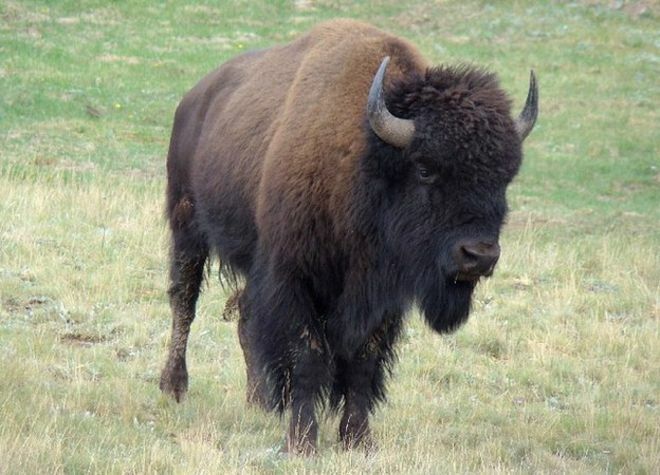 Currently there are only 2 species of Bison; however, there are 4 species that are extinct. The 2 existing species are the American bison, B. bison, found only in North America, and often referred as a "buffalo" and B. bonasus, or Wisent, is found in Europe and the Caucasus. 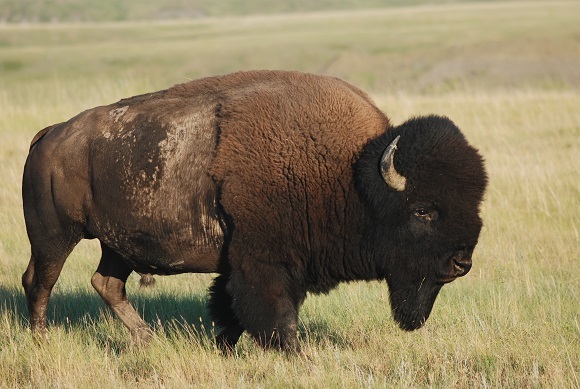 At one time, at least 25 million American bison were spread across the United States and Canada. However, by the late 1880s, the total number of bison in the United States had been reduced to fewer than 600 individuals. Most of these were collected onto various private ranches, and the last known free-roaming population of bison consisted of less than 30 in the area which later became Yellowstone National Park. Wisent, or European bison is a Eurasian species of bison. 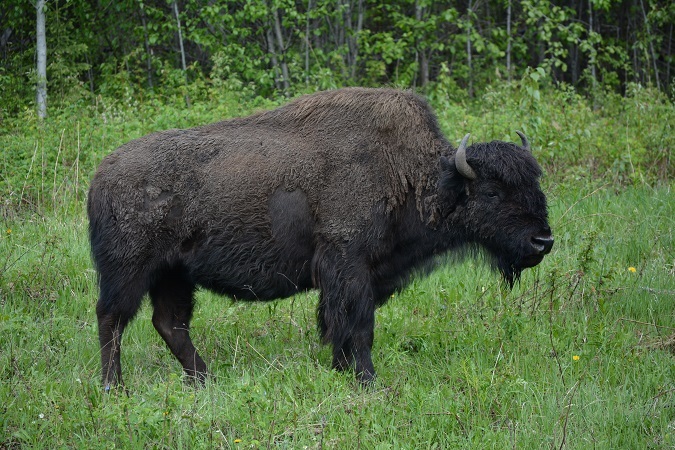 It is one of two extant species of bison, alongside the American bison. In the past, especially during the Middle Ages, it was commonly killed for its hide, and to produce drinking horns. Three subspecies existed in the recent past, but only one survives today. 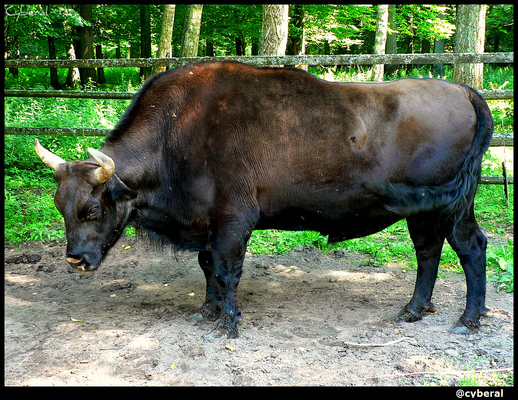 The Bialowieza or lowland European bison was kept alive in captivity, and has since been reintroduced into several countries in Europe. They are now forest-dwelling. Wood Bison (also known as mountain bison), are the largest terrestrial animal in North America. Their original range included much of the boreal forest regions of Alaska, Yukon, western Northwest Territories, northeastern British Columbia, northern Alberta, and northwestern Saskatchewan. Wood Bison are heavier than Plains Bison and they have larger horn cores, darker and woollier pelages, and less hair on their forelegs and beards. Zubron is a hybrid of domestic cattle and wisent. 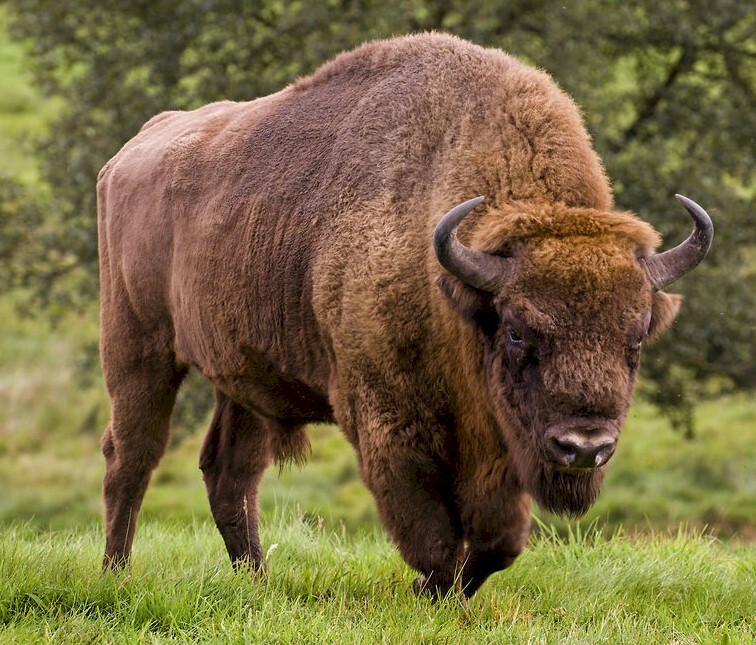 The wisent is the European bison; hence, the zubron is analogous to the American beefalo. The name zubron was officially chosen from hundreds of proposals sent to the Polish weekly magazine Przekrój during a contest organized in 1969.